GM still keeps these trucks heavily under wraps. 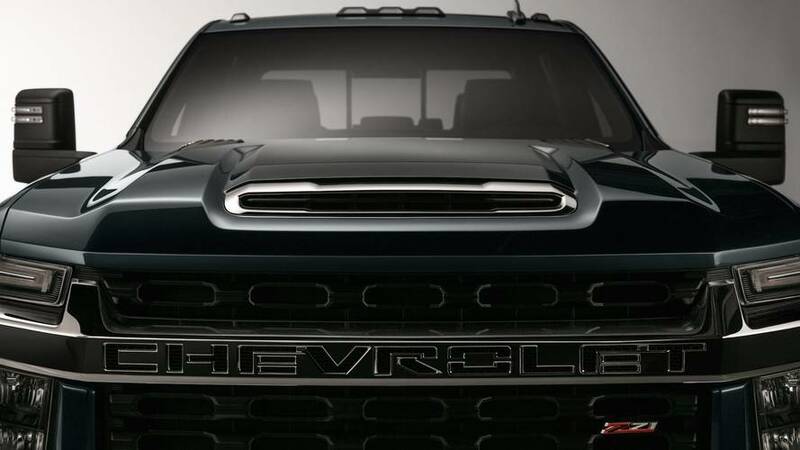 Chevrolet has already started teasing the next-generation Silverado HD ahead of the tough truck going on sale in 2019. 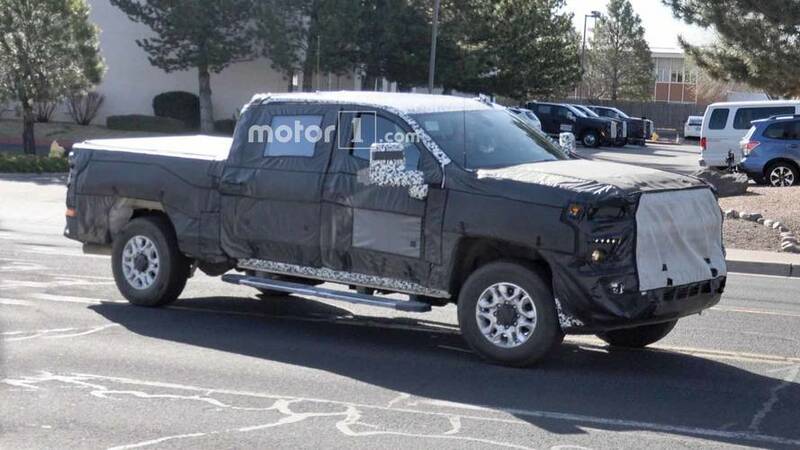 Now, spy shots have caught General Motors testing both the Chevy and GMC versions of these more capable pickups in multiple body styles. 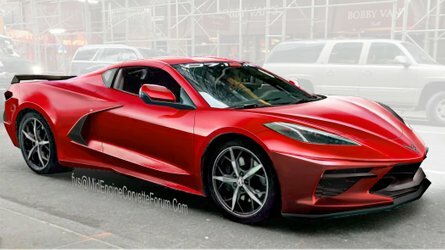 These shots match closely with Chevy's earlier teaser image (below). The new Silverado HD features a prominent bar in the grille that gives the truck a tough, muscular appearance. 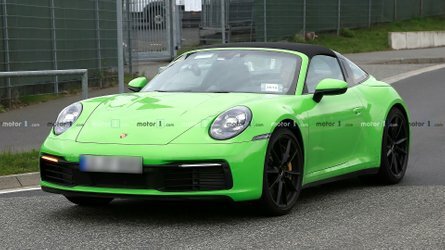 These spy photos suggest there are multiple tiers of lights. 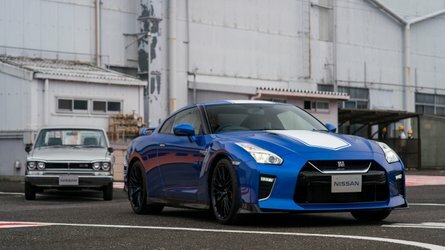 The main headlights would sit the highest. Underneath, there would be LED running lights and fog lights. 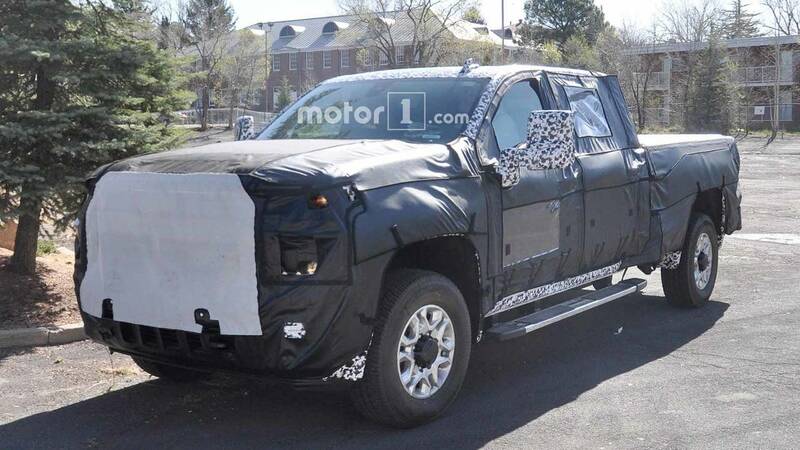 GM's heavy body cladding on these test mules don't provide a perfect look at the truck's profile and rear, but the fenders appear quite prominent. 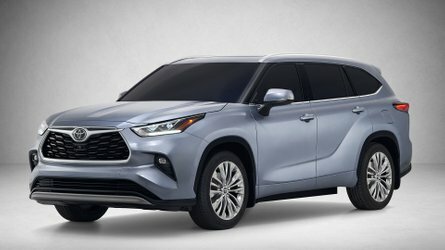 At this point, the only noticeable difference between the Chevy and GMC versions are at the front. The new Sierra HD appears to have more bars in the grille than its Chevy counterpart. The LED running lights also sit above the headlights, rather than below them. The fenders don't appear to be quite as muscular, either. Depending on what buyers need, they can get the HD trucks in a variety of layouts. We don't yet know the exact nature of any powertrain changes for the HD trucks. However, expect the Chevy and GMC to feature tweaks for improving their hauling capability since these models exist to get work done. The Duramax 6.6-liter V8 diesel engine should get a refresh while the standard 6.0-liter gasoline V8 will likely remain the base engine option. 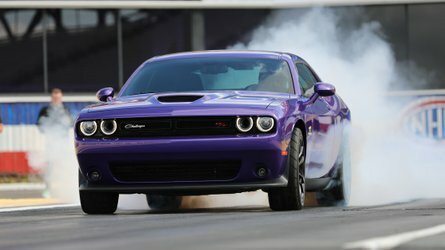 The transmission should be the same six-speed automatic heavy-duty transmission the automaker is currently using. Ford and Ram are both still using six-speed autos in their heavy-duty trucks. 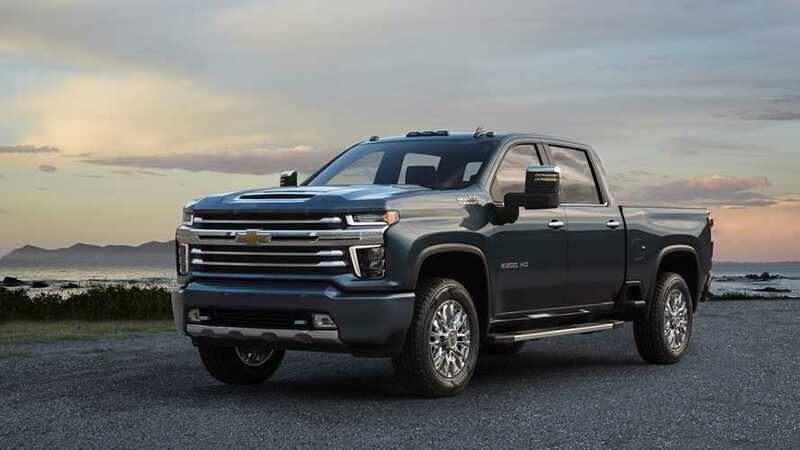 The Chevy Silverado HD and GMC Sierra HD should debut in early 2019 – possibly at the Detroit or Chicago auto shows with an on-sale date later in next year.